This is a serious bit of information to get your health and energy on track, This applies to at least 80% of people!! Breakfast On The Go: Options For a Convenient and Nutritious Breakfast? Breakfast On The Go: Options For a Convenient and Nutritious Breakfast? By having the same cereal each morning? Or is breakfast little more than a slice of burnt toast? With a cup of coffee while missing breakfast because you don’t have time to eat? When every minute counts in the morning, you need a tasty and nutritious breakfast that takes just seconds to make. High calories, low nutrients, low protein. 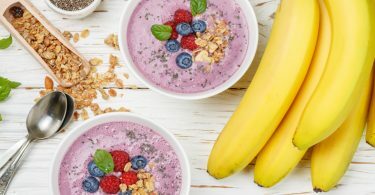 If you reach for simple carbohydrate-based breakfasts, you may notice that you have a short burst of energy, followed by a drop, making you feel tired. which are vital for balanced energy for the day ahead. Do you skip breakfast and then snack to get the energy you need? Skipping breakfast means your body has to draw on reserves of nutrients and water that will have depleted overnight. This can make you feel tired, irritable and prone to snacking on sugary foods for an energy boost. Balanced calories, balanced nutrients, balanced protein. A breakfast with the right nutritional mix sets you up for the day ahead, giving you a steady stream of energy, rather than the short bursts common from high energy foods. Try Herbalife’s calorie-controlled breakfast with a good balance of protein, carbohydrates and other important nutrients. It’s quick and easy to make and at less than 220 kcal, it’s a healthy alternative when time is tight. Breakfast is an important meal that shouldn’t be skipped. For this reason we offer a range of products which are ideal to be consumed first thing in the morning. In order to start your day with the right amount of protein, choose a Formula 1 shake which provides around 18 grams of protein when prepared with semi skimmed milk. To get and stay hydrated, you can take Aloe drink which adds to your daily water requierement. And if you need a caffeine boost, why not try our tea range containing orange pekoe tea and green tea. If you are looking for something a little more crunchy, why not try the meal replacement bars, with only 207 kcal you will get 13 g of protein and 8 g of fibre. To order your balanced nutrition and get your superfood visit my online shop it’s always opens.